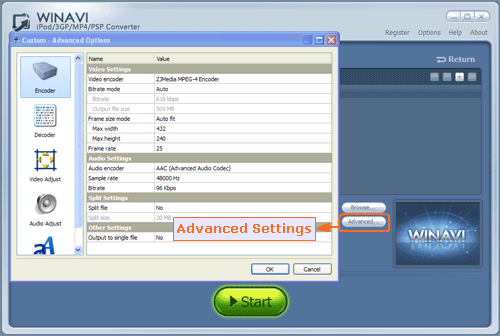 WinAVI MP4/3GP/PSP/iPod Video Converter can convert RM to PSP/RMVB to PSP. It is a powerful RM to PSP/RMVB to PSP converter that converts RM to PSP/RMVB to PSP format. 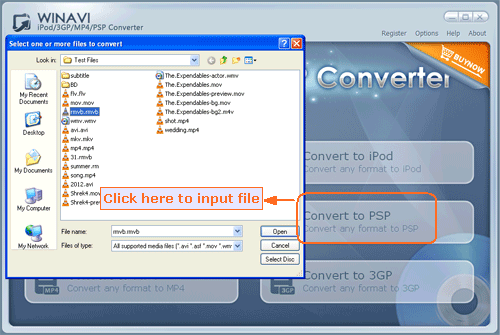 Free download MP4/3GP/PSP/iPod Converter, and then click the "Convert to PSP" button on the main interface, and then the program will pop-up a "Select file" box for you select your wanted RM/RMVB video file.Here we select a RMVB file as an example. 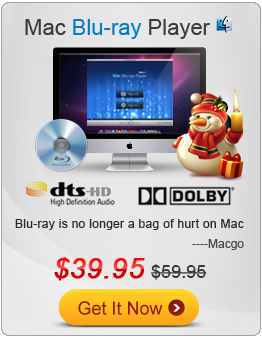 Set options for advanced settings to customize your video on PSP. Click "Start" to start to convert RMVB to PSP.